I won’t lie, ever since I came back from Oaxaca where we celebrated the Guelaguetza , I was dying to try the wonderful cocoa powder we had bought at one of the oldest chocolateries in the city. This cocoa is still made in the old traditional way which makes it even more special. Every time I entered the pantry the nice chocolate smell emanating from the box tempted me, so I finally gave in. I also love coconut so this recipe I adapted from Marc Grossman was a great match. I love the strong chocolate flavour combined with the creamy, nutty flavour of the coconut. When you take the first bite the smoothness of the chocolate combines nicely with the slight crunchiness of the coconut providing an unexpected texture. I didn’t have caster sugar, so I used brown sugar instead, which in my opinion made the flavours even bolder. Preheat the oven to 200ºC/392ºF. 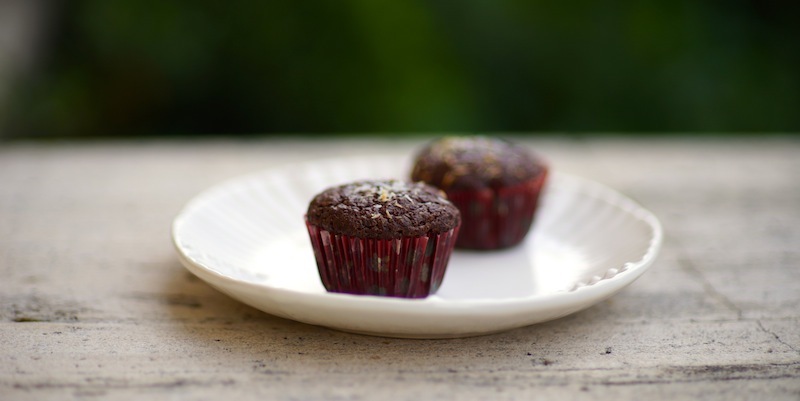 Line a muffin pan with paper muffin cups . Mix the flour, sugar, baking powder, cocoa powder and desiccated coconut together. Keep a small amount of coconut to decorate the muffins in the end. Mix together the sunflower oil, coconut milk and egg yolks together. Beat the egg whites until stiff. Pour the wet batter into the dry batter and mix until well combined. Do not overwork the batter. Gently fold in the egg whites. Pour the batter into the moulds and sprinkle each muffin with the remaining coconut. Bake for 20 – 25 minutes. Due to the high altitude it took me 35 minutes. They are done when a toothpick inserted in the middle comes out clean. 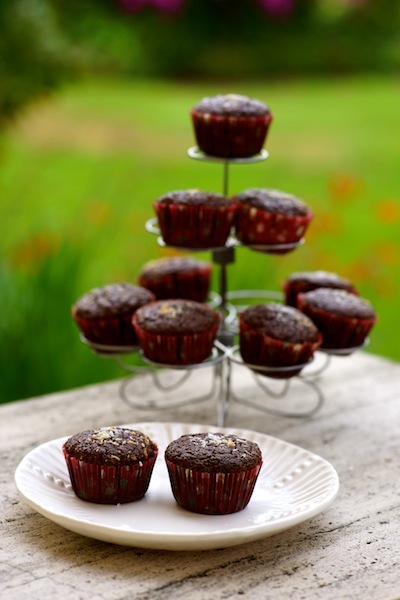 These Chocolate Coconut Muffins are a treat and perfect for an afternoon tea or summer picnic. Enjoy!